Union County Historical Society was privileged to host Mr. Arthur Bohanan and Mrs. Bohanan at its August meeting. Mr. Bohanan spoke about “Who are Humans and How Did We Get Here?” He is descended from the Sevier County Bohanans and has three books to his credit–two of which are historical fiction with a vivid imagination of how he portrays his great grandfather, Henry Bohanan’s, life back in the late 1700s. Art is, among other things, a forensic scientist. By age 18, he had graduated from high school and had gone to work for the Federal Bureau of Investigation. His resume includes working with the FBI, the aftermath of the airplanes hitting the World Trade Center, nine plane crashes, forensic work in fifty countries and at least one patent. 1. Arrid Extra Dry Deodorant, which is good for treating poison ivy. 2. Tooth Brush to clean the crevices inside the lettering on stones. 3. A wooden gouge to get the worst debris out of the lettering [kind of like a large pencil]. 4. Bounce dryer sheets, which are a good repellent for mosquitoes and ticks. 5. Shaving Cream to spray on lettering for a clear read and pictures. 6. A small spatula to spread shaving cream and to wipe the shaving cream flush with the stone. Mr. Bohanan showed before and after pictures, which sure convinced me it works. After Hurricane Floyd, Mr .Bohanan was summoned to help identify the caskets and corpses that had floated up by the Hurricane and to get them correctly re-interred. In 2015, Mr. Bohanan obtained a patent for his invention to identify whether a corpse is male or female. Generally, Mr. Bohanan uses little flags to mark graves, but they ran out of flags at Irwin, and Mr. Judson Palmer marked the mens' graves with blue spray paint. Red spray paint was used to mark the graves of females. It is the Christian custom for a person to be buried facing the East. He noted that generally slaves were buried south to North (facing North). Some other interesting observations are–true African humans have no sinus cavities (nasal cavities). 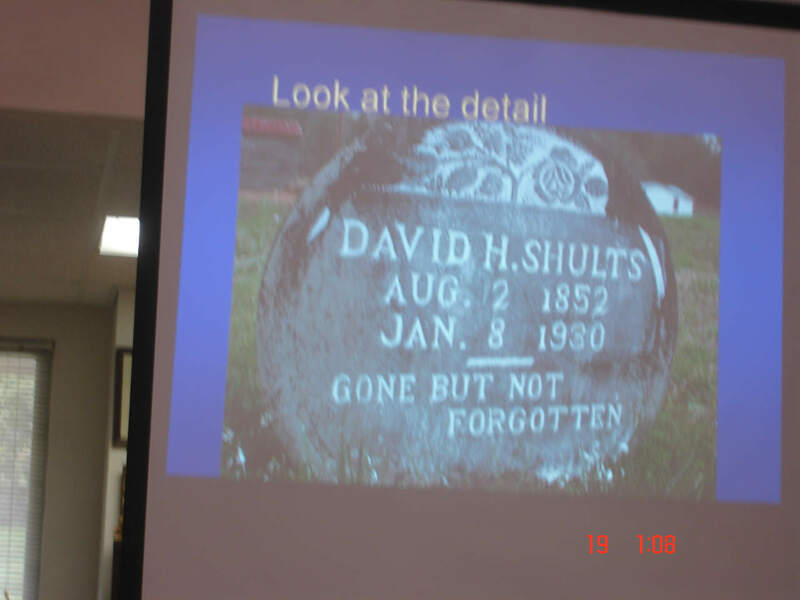 Recently Mr. Bohanan and Judson Palmer, who has relatives in the Irwin Cemetery in Big Valley, cataloged 286 graves. They found 76 unmarked graves and 29 stones inside the stone walls at Irwin. They found a total of 210 unmarked graves outside the stone walls. This piece will be continued next week, and I'll have much more to say about this great man and what he has already done in global work and for humanity in general. A tombstone cleaned and sprayed with shaving cream, then photographed. 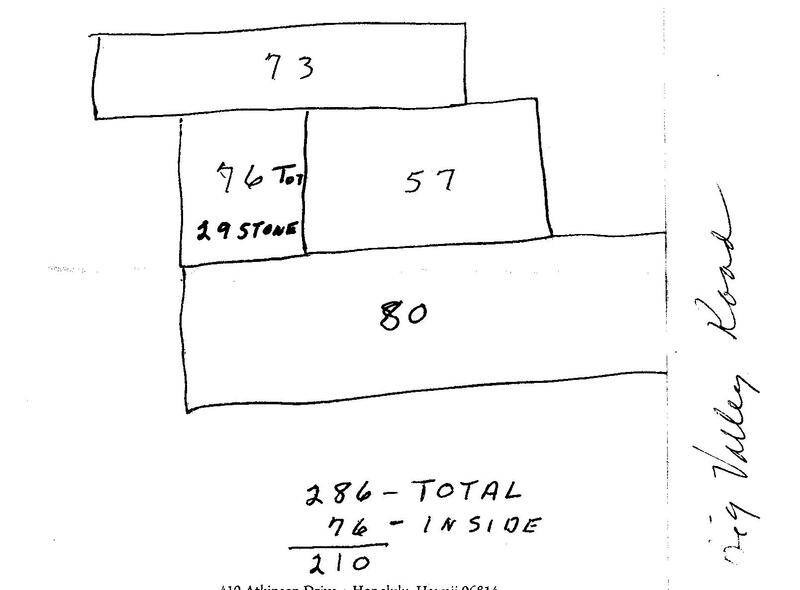 This sketch shows the layout of Irwin Cemetery in Big Valley, Sharps Chapel, Tennessee. The section that shows 29 stones and 76 unmarked graves is enclosed with a stone wall. The other unmarked graves are outside the wall. The walled area is completely full. Mr. Arthur Bohanan, Senior Forensic Examiner with the Knoxville Police Department, retired after 26 years.